Backyard makeover 'Resort Style' in progress - new waterfalls, tiki huts, outdoor kitchen & more ! 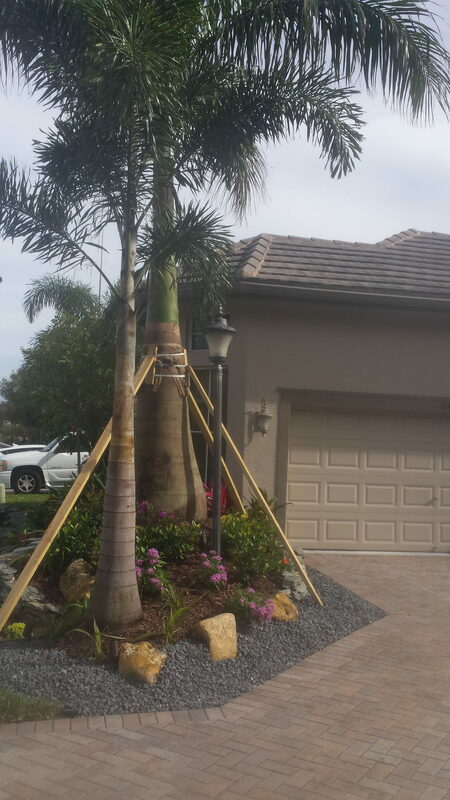 - Universal Landscape, Inc.
Backyard makeover ‘Resort Style’ in progress – new waterfalls, tiki huts, outdoor kitchen & more ! Residential Resort Style Backyard Makeover in progress. 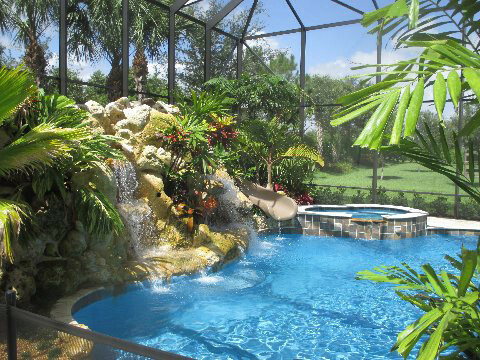 Project included a 14′ width waterfall going into pool and on the opposite side a tiered 3 waterfall cascade with center grotto into a 35′ stream, all made with real florida cap rock boulder construction. Project included crossover stream bridge, 2 Tiki Huts, one was for a full kitchen outdoor bar, the other for seating, along with new tiered decking & ALL under a new, enlarged screened in patio. 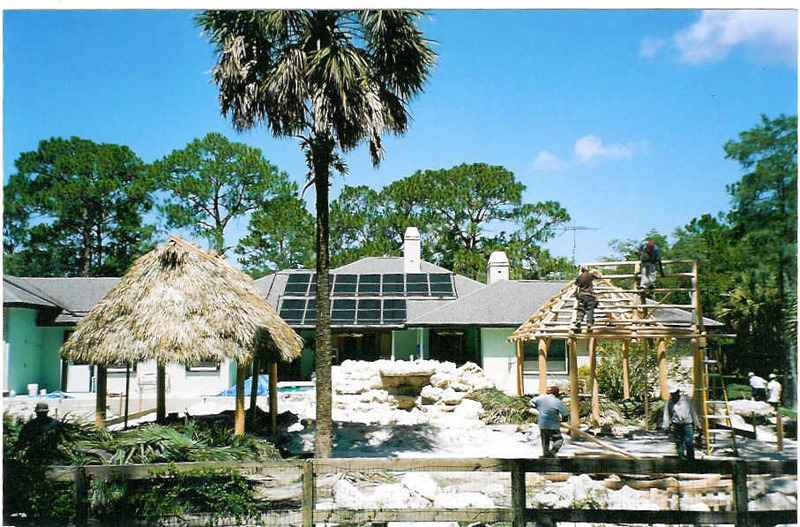 Be sure to check out the after photos of this Loxahatchee project !